Naika Studios & Apartments in Palma Nova is an apartment building. 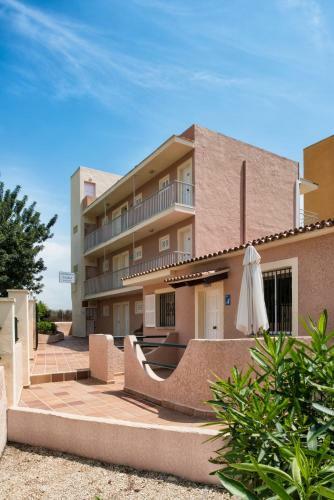 Apartamentos y Estudios Naika have an ideal setting, just 100 metres from Palmanova beach and marina. This complex offers well-equipped apartments and studios with balconies. 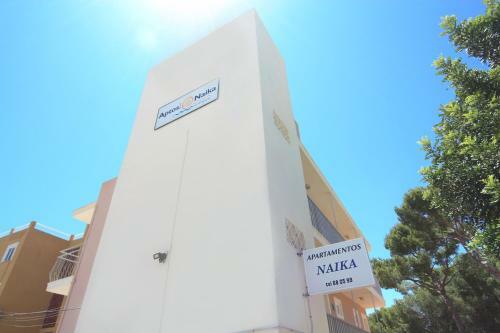 Apartamentos y Estudios Naika features bright, spacious accommodation. 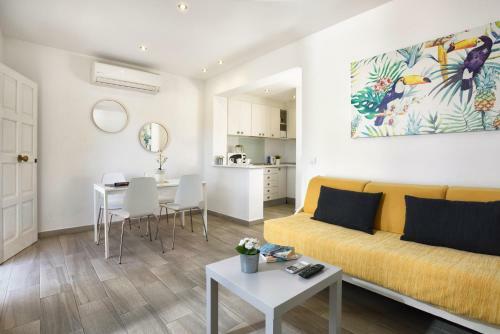 Each of its apartments and studios has a seating area with satellite TV and a fully equipped kitchenette including electric hob, fridge and toaster. 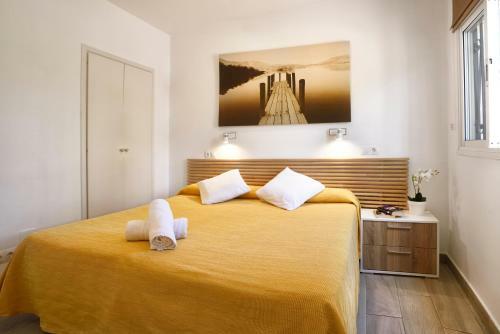 Free WiFi is available in the studios and in the public areas of Hotel Gabarda, located 250 metres away. 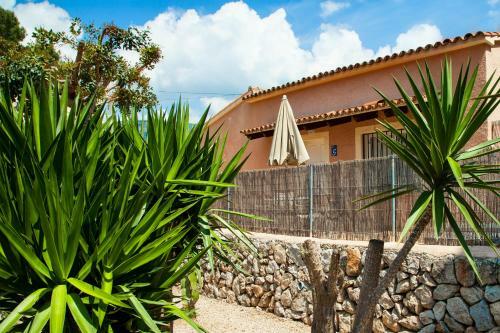 ...The complex is within 5 minutes’ walk of the centre of the popular resort of Palmanova, which features a selection of bars, cafés and restaurants. 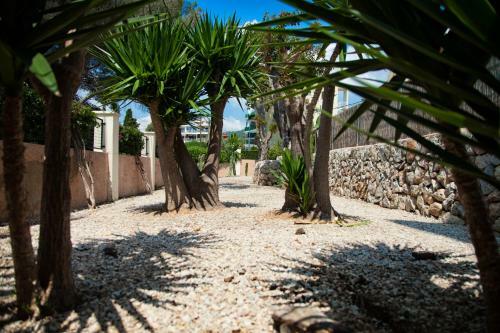 The lively resort of Magalluf is about 20 minutes’ walk from the apartments. The 24-hour reception is located at Hotel Gabarda, approximately 250 metres from Naika. Guests can also make use of a range of facilities at Gabarda hotel, including the outdoor pool, or breakfast at an additional cost. 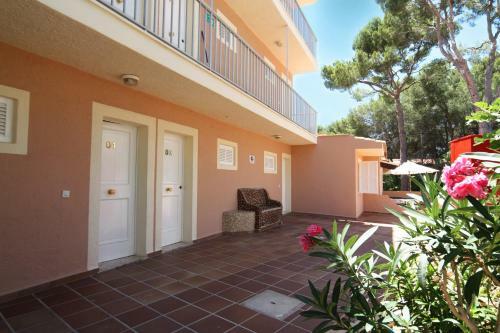 Apartamentos y Estudios Naika have an ideal setting, just 100 metres from Palmanova beach and marina. 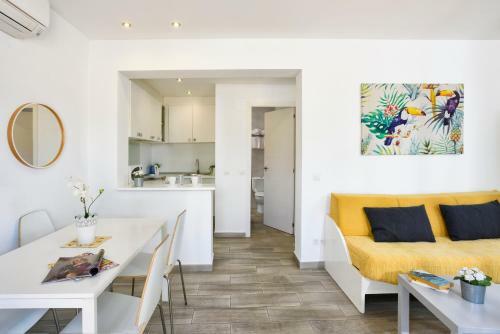 This complex offers well-equipped apartments and... studios with balconies. 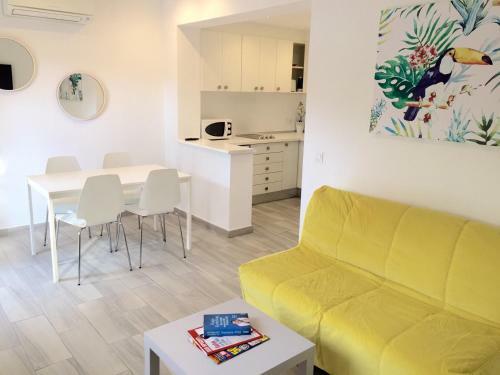 Apartamentos y Estudios Naika features bright, spacious accommodation. 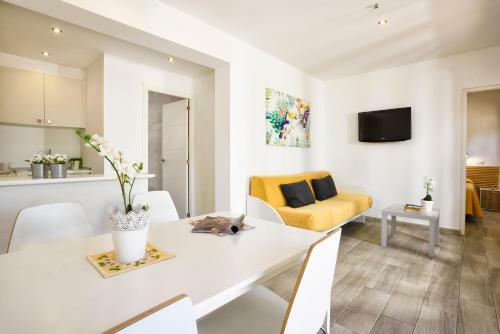 Each of its apartments and studios has a seating area with satellite TV and a fully equipped kitchenette including electric hob, fridge and toaster. Free WiFi is available in the studios and in the public areas of Hotel Gabarda, located 250 metres away. 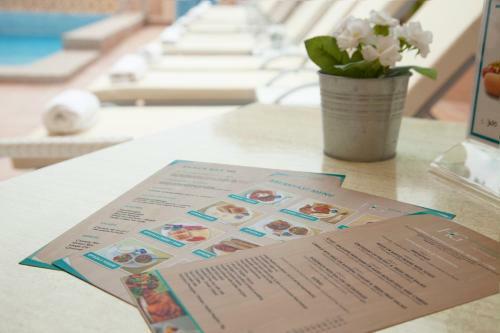 The complex is within 5 minutes’ walk of the centre of the popular resort of Palmanova, which features a selection of bars, cafés and restaurants. 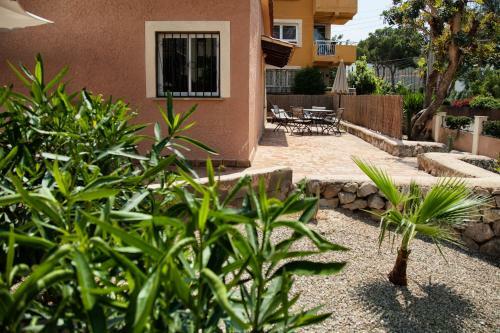 The lively resort of Magalluf is about 20 minutes’ walk from the apartments. The 24-hour reception is located at Hotel Gabarda, approximately 250 metres from Naika. Guests can also make use of a range of facilities at Gabarda hotel, including the outdoor pool, or breakfast at an additional cost. When would you like to stay at Naika Studios & Apartments? Children and extra bedsChildren cannot be accommodated at the hotel. Children's cots/cribs are not available. There is no capacity for extra beds in the room. Supplements are not calculated automatically in the total costs and will have to be paid for separately when checking out. Guests are required to show a photo identification and credit card upon check-in. Please note that all Special Requests are subject to availability and additional charges may apply. Please inform Naika Studios & Apartments in advance of your expected arrival time. You can use the Special Requests box when booking, or contact the property directly with the contact details provided in your confirmation. Please note that the check-in and key-collection take place at: Hotel Gabarda, Calle Roses Bermejo 26 (Approx 150 metres from Naika), 07181 Palmanova. 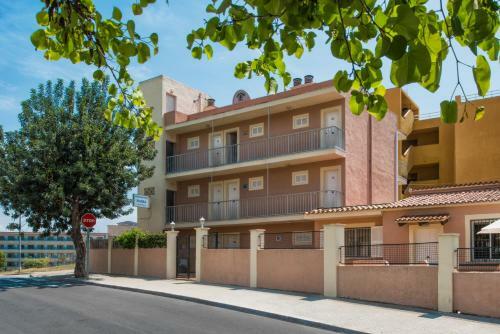 Please note that the apartments' reception is located in Hotel Gabarda, Calle Roses Bermejo 26, Palmanova. Key collection takes place here. Apartments are cleaned every 2 days and sheets are changed every 5 days. Please note that drinks are not included in the breakfast. Please note that for arrivals from November to April, there is no reception, as the Hotel Gabarda is closed. 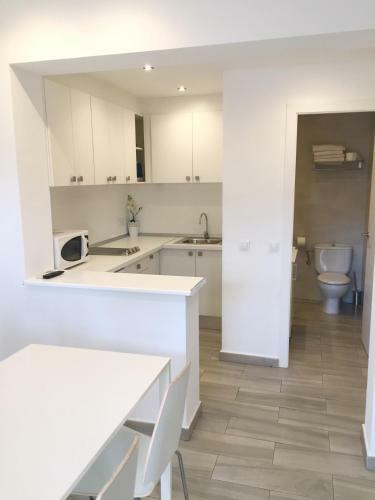 "The property will contact you after booking to send you confirmation and check-in details"